Bring your own device and iPad-in-the-classroom programs are pushing school systems to invest in wireless LAN technology upgrades. Given the thousands of innovative education applications designed specifically for tablets as well as the integrated learning experience such apps can offer, it’s no wonder that iPads and other mobile devices are entering K-12 schools at an aggressive rate. Throughout the U.S. and abroad, K-12 schools and universities are utilizing iPads, iPhones, tablets and other handheld devices to enable mobility in the classroom and achieve higher standards of learning. In some cases the schools have rolled tablets out to every student, and in other cases students and teachers are bringing personal devices from home. Either way, schools are upgrading their wireless networks to accommodate the influx. 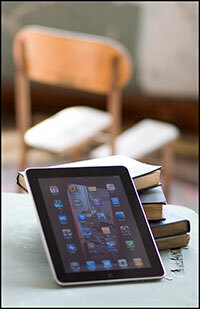 Is your school wireless network ready to support and manage the iPads and other mobile devices? How does your wireless network support mobile devices now? Contact us for a free consultation on your wireless network design. We can discuss the assessment of your current wireless network and help you determine where your wireless network stands now with security, management, capacity, support and how we can help improve your wireless network. We not only plan wireless networks for what they can support now, but for the future as well. Keep your wireless networks ahead of the growing number of mobile devices.